Charles Horlick caught the biggest carp at the World Carp Masters (WCM) event in Lac du Der in France in September this year. It placed the South African team second at this growing event. CarpFever asked Charles a few questions about his experience at the event, and how us local blokes can quality for the 2017 event. How does the WCM work, and what did you do to qualify? 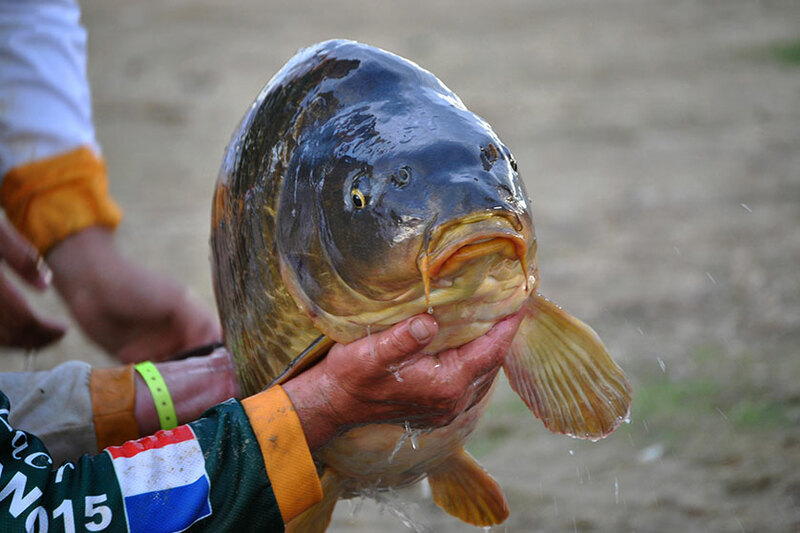 The WCM is an international specimen carp fishing tournament held at Lac du Der in France. It’s an open specimen tournament where anglers from all over the world compete against each other. 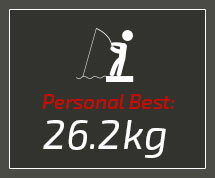 The biggest overall weight of fish caught, over 5kg, is the winner. Anglers have freedom to use inflatable boats, bait boats and like we saw this year even drones to drop and feed lines at a maximum distance of 350m. 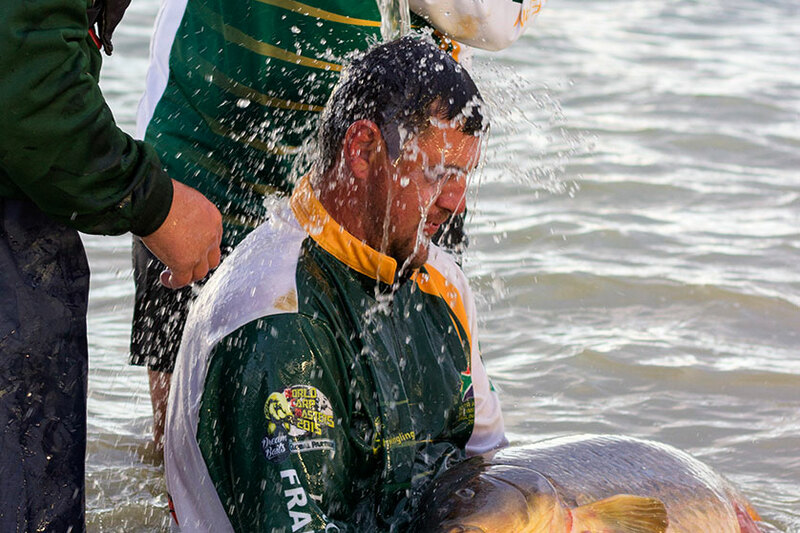 To qualify for the WCM each participating country has one single qualifying event, ours being SA Carp Masters, where the top performing teams qualify for the WCM in France. 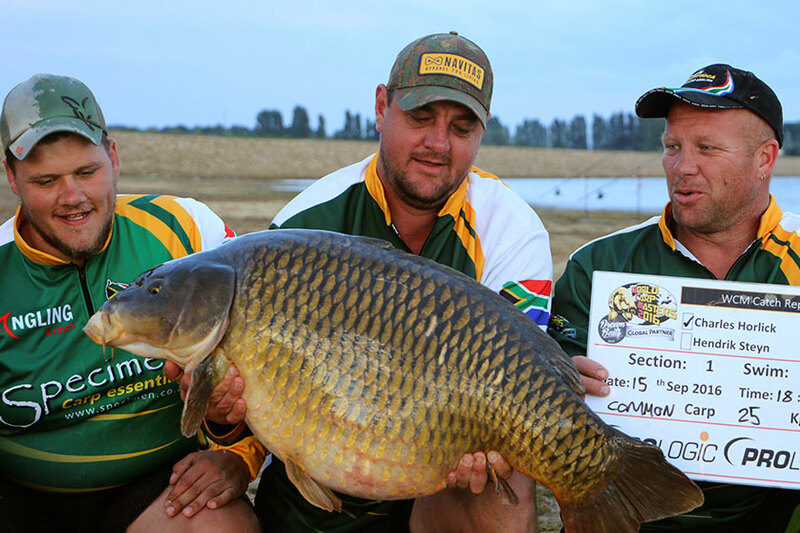 I was lucky enough to be one of the founding members of the SA Carp Masters in 2014, after meeting Steve Bond in Italy the previous year, and was one of the first team SA members to compete at WCM and have been competing in France ever since. How did you catch that monster? After losing three good fish in the first few days we realised we had to change tactics and so we decided to go for bigger hooks and heavier leads using supple hooklinks. We had loads of two-metre-high grass beds in front of us and so we went and made our own pockets in the grass using our boat anchor which loosened the natural foods and of course opened up some good opportunities. 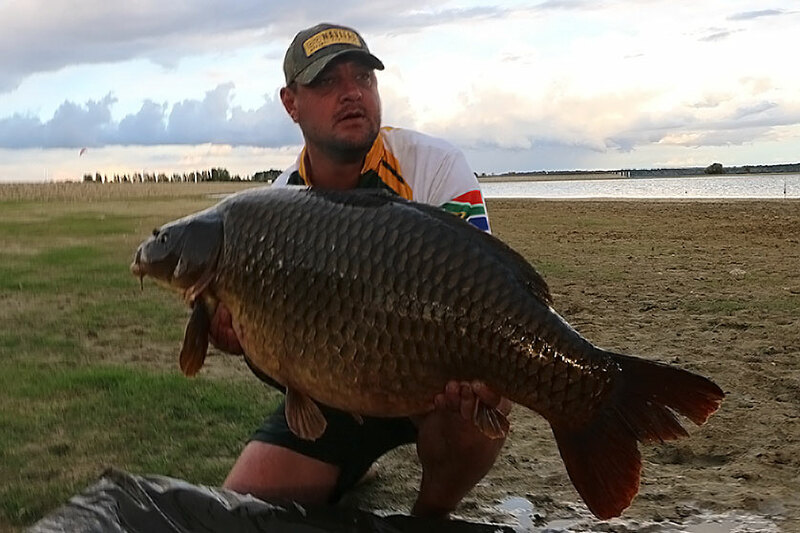 After feeding loads of hemp with MTC’s Krill boilies and Dreambaits’ Voodoo boilies on those spots we finally got a big run and it was a 25kg monster which at that stage was the biggest for the tournament. We had another couple of fish that day and the following day at 5PM that same rod took off and we knew it was another big fish. It was only when we picked up the fish that we realised that this one was even bigger than the previous monster. It tipped the scale at 26,2kg. What did it feel like to reel that beast in at such an acclaimed event. What emotions did you experience? 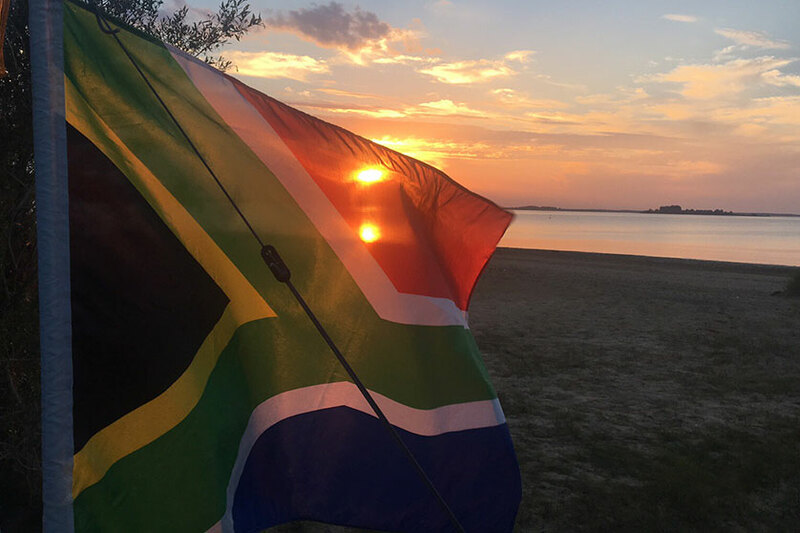 The fight was tough and it took hard work, patience and perseverance but I must say one thing I felt was absolute pride and gratitude – I was so proud of my team and felt proud to be South African. With regards to tactics, how did it differ from your competitors and how much did your local preparation influence your decision making? 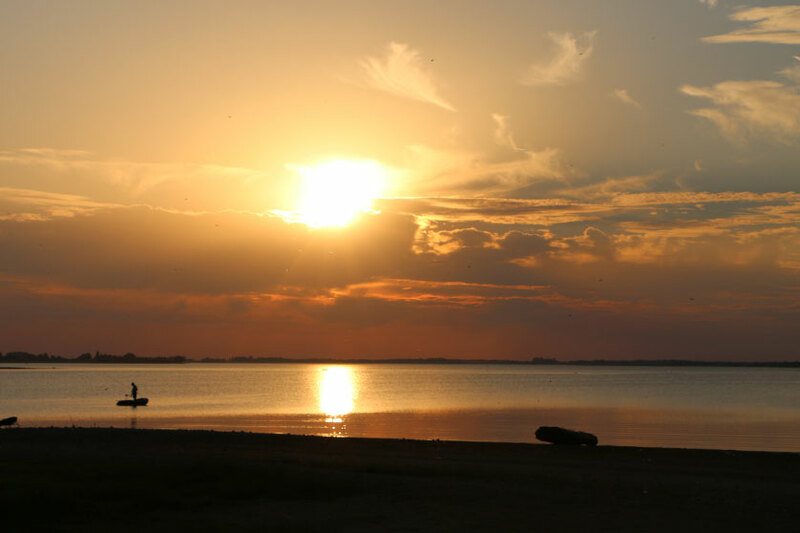 That lake is something else – it’s completely different to what we are used to at home. It’s full of natural food like snails, mussel and prawn and the carp’s mouths are adapted. It also has loads of grass. We adapted our tactics to suite the water – we collected all the naturals we could find – small mussels and snails were all over because of the water levels that were dropping by about 30cm every day, and used them in our feed along with the hemp and boilies. We tried thinking out the box by making our own holes. Boer maak ‘n plan! And it paid off. I would say your attitude is the main difference for me. You fish with more passion over there, you have to be more patient and endure until you get a breakthrough. Conditions are different as well. One day it’s 32 degrees with 50 percent humidity and the next day it’s 15 degrees and raining non stop. And when that fish comes, the reward is so much greater. What was the general experience of the event like? Please elaborate. The WCM is a one of a kind event. The spirit between all the anglers is electric. Everyone is very friendly and supportive towards each other and the European anglers want to help and assist wherever they can. We made so many friends and it really felt like one big family. On the South African side we went to win and had a very good team spirit which the other anglers appreciated. Apart from the fishing experience, do you have any savouring moments? Perhaps you met someone or had an interesting experience? 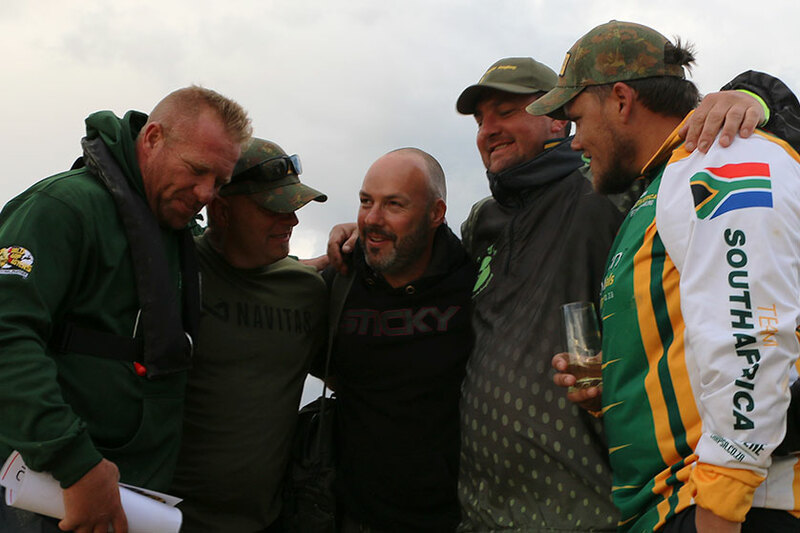 One of the best moments was when I caught the first big fish and the media team to interview us along with Commander Steve Bond and Adam Penning. We were all on a high and very emotional as we shared the experience. It was Adam’s birthday that day and the SA boys pulled together to sing Happy Birthday to him as well which was a special moment. 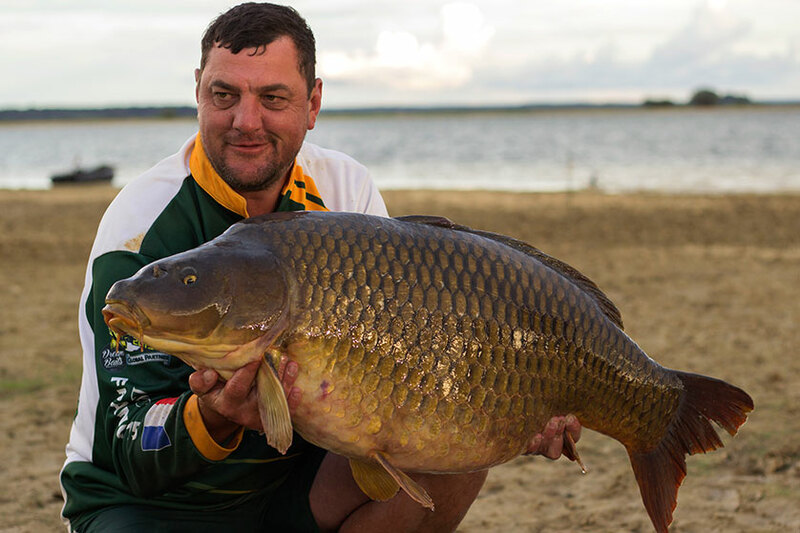 Any advice that you can give people that are interested in getting into the World Carp Masters? 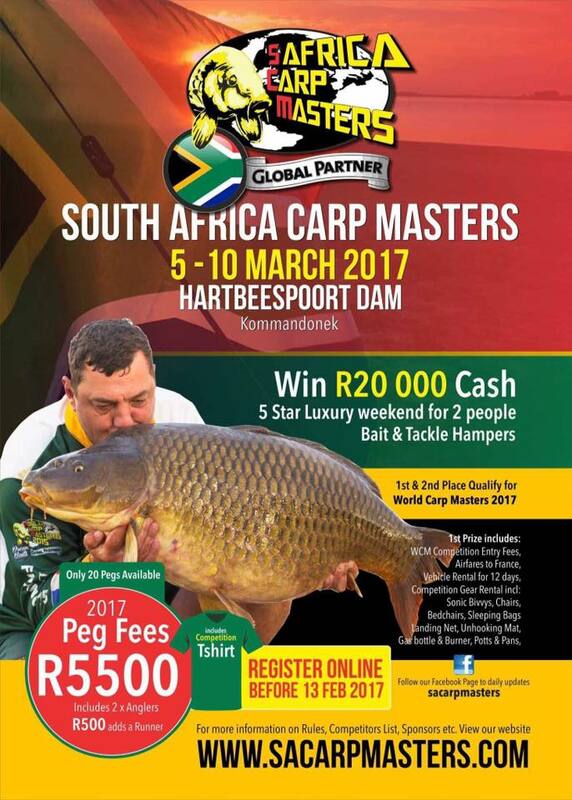 If you are a passionate carp angler and you think you have what it takes, the first thing you do is enter the SA Carp Masters which will be held at Hartbeespoort Dam from 5 to 10 March 2017. The winning team will not only qualify, but also win a fully paid trip to France including all your competition gear such as bivvys, bedchairs, the works. The first two teams qualify to join the rest of Team SA Masters in France. Each participating country have these qualifiers and every year it gets bigger and better. Where did your interest in carp angling start? I probably started fishing when I was five years old and I got into specimen carp fishing about seven years ago in 2008. Ever since, it’s been an amazing journey meeting life long friends and fishing all over the world. Definitely Lee Jackson who I met in Italy and have kept in contact and also Adam Penning which I recently met in France. First thing I do is look at the water. I look for features and structures that I can fish to, and of course, any fish activity on the water. Must be the Combi Rig and Chod Rig. I don’t have a preference. I will fish mono and braid depending on the water I’m fishing. Krill and something sweet and spicy. I would say endurance and patience – never give up! If you blank for two or three days keep persevering and the fish will come. Have you set any specific angling goals you’d like to achieve next year? Another World Carp Masters perhaps? CarpFever: Thank you for the answers Charles. All the best with the arrangements of the up and coming SA Carp Masters in 2017! We are looking forward to the event! 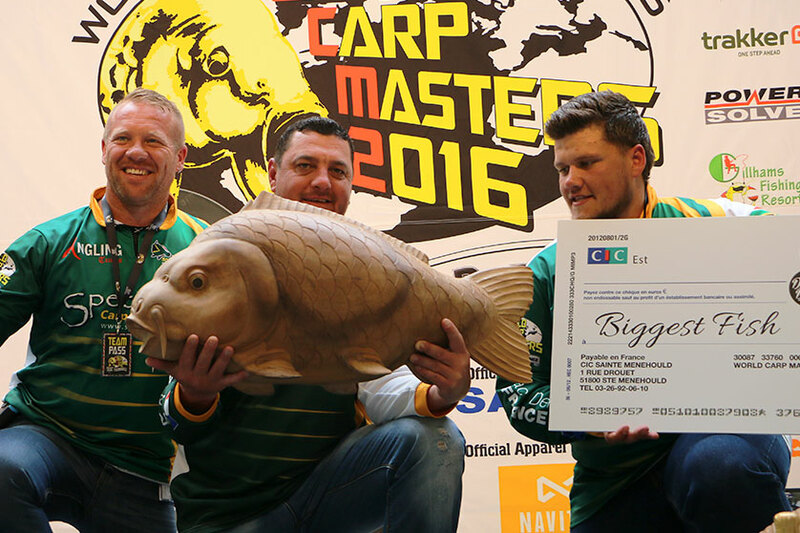 Would you like to join the SA Carp Master in 2017? Only seven spots available at the time of this article. 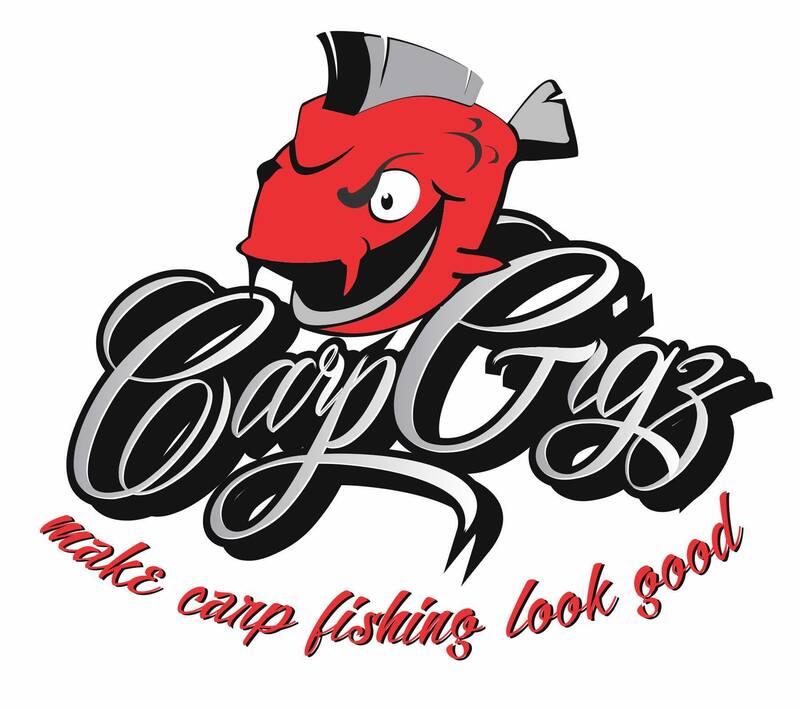 Then you might want to visit Carp Gigz on Facebook. You never know what the next monster might fancy. Like their page to stay in the loop. Your support would be much appreciated.